In episode 63 we interview top earner and cofounder of Life Matters, Kimmy Brooke. Kimmy talks candidly about a brand new tool women can use in network marketing to open up their market: her new book The Four Year Career for Women. Discover how you can utilize this tool (regardless of your gender) in your organization to experience tremendous growth! Why Kimmy decided to write the book and how it compliments other tools you may already be using. 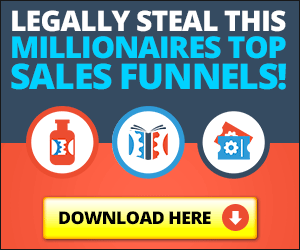 Exactly what you'll find in the book, and how to leverage the book in an actionable way to generate leads and signups in your business. Why the network marketing superstars in the book were chosen out of the many that exist in the profession. What Kimmy is doing with the proceeds from the book and how profits from the book are being used to help women in need. Kimmy Brooke on Facebook – Get connected with Kimmy on Facebook, she's awesome! Four Year Career for Women – Get a copy of the book today! All profits are donated to helping women in need abroad! Kimmy is a top earner in the profession, a visionary, and leader in her current company. Click here to hear her candid interview. Her expertise and the expertise of the women in the book are examples of what is possible in the profession. There is no guarantee of income or that you will achieve these results.